“This story first crossed our desk late last week in the form of a very graphic report (CLICK HERE) and we have been monitoring the situation, since. Law enforcement is involved and the chief concern is the feeding of the horses as prosecution of the perpetrator and final disposition of the equines will seek it’s own level and be determined later. 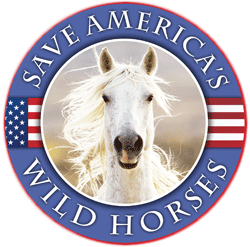 We will update you on the means in which to aide in keeping the horses alive but in the meantime, let the buyer beware of sending money to an individual that leads a non-profit down this dark abyss of abuse and neglect, it is despicable.” ~ R.T.